I am delighted this month to be introducing that distinguished Radical Virgo, Joyce Mason, long experienced in-depth astrologer and fine writer. She has just completed and E-published “20 years of work with Chiron distilled into 40 pages“…...‘Chiron and Wholeness: A Primer.’ It is a fine piece of work which introduces the archetype of Chiron, the Wounded Healer, in a deep, lively and accessible manner which will be of interest to practising astrologers and their clients, astrology students – and the open-minded general reader. 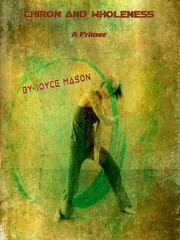 Joyce’s Guest piece will tell, in her usual humorous style, how Chiron “hooked” her, becoming a life-long preoccupation. Over to you, Joyce! I’ll never forget my goose bumps. I was reading Barbara Hand Clow’s book, Chiron: Rainbow Bridge Between the Inner and Outer Planets. Actually, I was reading it out loud to my best friend while she drove. We were returning from an astrology workshop on Chiron, where I’d just bought it. Both of us were complete novices on the asteroid, comet—whatever. Nobody was even sure what this little rock was that seemed to be orbiting in the wrong place, yet I was already in love with it! Then there was that strange myth, a story about a half-man/half-horse—a centaur who was wise, wounded, and wonderful. He turned out heroes by the dozen: Jason, Hercules, Asclepius. That was 1988. For over 20 years, Chiron has remained my astrological passion. I discovered Chiron just as I launched my astrology career. Ever since, he’s been the compass of my star trek. From 1992-95, I edited an international newsletter on Chiron’s “continuing discovery” called Chironicles. In 1996, I organized and facilitated a journey of 18 astrologers from four continents to the Pelion region of Greece, Chiron’s mythical homeland. The Chironic Convergence celebrated Chiron’s perihelion or pass closest to Earth in its orbit. It was a “shareshop.” Participants swapped what they’d learned to date about Chiron in a variety of ways that included ritual, chart interpretations, and informal presentations. What would turn me into such a Chironoholic? Chiron was an underdog in the astrological community during the first decade or two after its 1977 discovery. Many “serious” astrologers weren’t ready to let some upstart into their orderly system of chart analysis. I have always been a sucker for the underdog (or centaur). I suspect that was part of the initial lure. Most of all, I had a strong inkling that there was “something there.” Barbara Clow’s book ignited and inspired me. Early on, Chiron was nicknamed the Wounded Healer because of the lingering wound he incurred at a wedding feast. He was accidentally shot by a stray, poisoned arrow from the bow of his most beloved student, Hercules. Immortal, Chiron could not die; he had to soldier on. Despite his pain, Chiron continued to mentor hero after hero, bringing out the best in each of them so they could contribute their special skills to society. I usually “get it” when “something is wrong with this picture.” The accent was on the wrong syllable. It wasn’t just about Chiron’s wound; it was about helping others become all they could be. If heroes save the day, society can only be revived when we each give our unique gifts, things we do like no one else. Together, each bit of individuality can be woven into a warm quilt of societal wholeness. We do the same thing with inner growth, integrating our unrelated, unique aspects until we’re fulfilled, embodied spirits. Of course, sometimes in the process, this tapestry feels more like a crazy quilt. Then there’s the pain, for which humor and making the best of things is the only antidote. Soon, I agreed with those who saw Chiron as the missing link in chart interpretation. Chiron was the first astrologer. Modern astrologers have his same mission: to bring out the best in their clients by helping them identify their greatest gifts. Only when we become busy making our unique difference does pain fall into the background. Then we begin to heal ourselves by helping others. Astrological Chiron confirms the wounds we have to overcome. Our wounds hold the hide-a-key to our healing. Chironic people often serve society thanks to their pain. Example: Candy Lightner’s daughter was killed by a drunk driver. She went on to found Mothers Against Drink Drivers (MADD). MADD’s influence has since led to a 43 percent reduction in US drunk driving deaths. Chiron in your chart will tell you about the pain you need to overcome to deliver the gifts you gained from it. No pain, no gain—as the saying goes. Chiron is my gift, one that never stopped giving. Recently, I wove twenty years of learning about Chiron into a primer. It’s a meaty and lushly illustrated synthesis called Chiron and Wholeness. Drop by my blog, The Radical Virgo, anytime to learn more about it and read many of my articles on Chiron and other subjects on becoming the best you. Chiron and Wholeness gives you the essentials on Chiron. I hope it leaves you wanting more. If at least one idea in my e-book gives anyone the goose bumps, I’ll feel like I’ve come full circle. Joyce Mason has been an astrologer for over 20 years and a writer ever since she could hold a pencil. Her astrological specialties are Chiron, the sign of Virgo, and living on the upside of the zodiac. Her trademark is depth with humor. 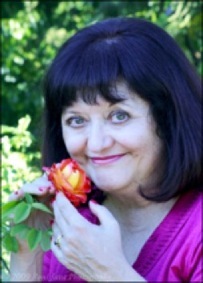 Learn more about Joyce, her two blogs, and her library of articles on topics from A to Zzz (astrology to dreamwork) on her Writer Joyce Mason website: www.joycemason.com. This entry was posted in Astrology Article Archive 1 – "Not the Astrology Column" and tagged Barbara Hand Clow, Chiron, Chiron and Wholeness: A Primer, Chiron the Wounded Healer, Joyce Mason, The Radical Virgo. Bookmark the permalink. What a wonderfully simple yet comprehensive overview on how Chiron should be interpreted in the chart and how we can use it positively. I especially like the idea of the “key” to healing. Thank you for such an insightful article!! Carole, thanks for letting me know my article on Chiron hit home. Pain is both our teacher and liberator. It can bring out the best in us, if we follow mythical Chiron’s example of sharing what we learn from it–and making the most of life in spite of it. If you’d like to read more on Chiron, stop by The Radical Virgo (www.radicalvirgo.blogspot.com). An eloquent exploration of Chiron – thank you. I always think ‘key’ for Chiron before ‘wound’. Leah, thanks for your positive response to my Chiron article. I’m so glad to know you resonate to “key” as the key word (no pun intended!) that stands out most for you with Chiron. Best of all, I love that his glyph replicates a skeleton key, the kind that opens all doors. He has surely opened them for me! Have a healing, happy holiday season.